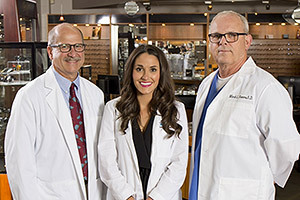 EyeCare Associates of Kentucky eye doctors are highly trained to address the specific needs of their patients and give you the quality care you deserve. They are committed to offering you the latest and best technologies. Our eye doctors take the time to complete a thorough exam and answer questions you might have regarding your eye health.